Our Cradle Type Cloth Roll Doffing Trolley is useful for lifting & transporting the big batch (cloth roll) from batching motion/off loom's take-up. 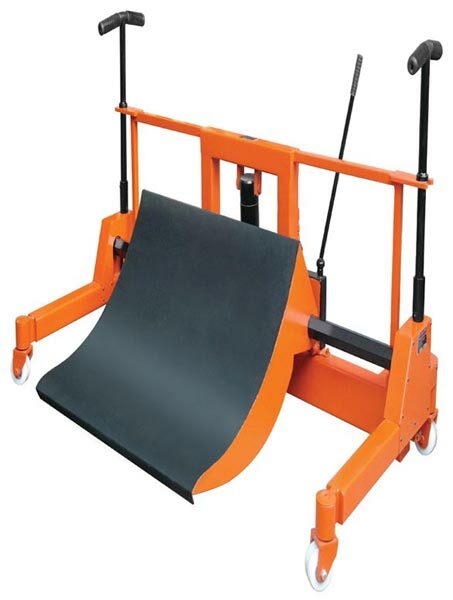 Lifting of cloth roll is done by rigid cradle top. Our TCC - 107 Cradle type Cloth Roll Doffing Trolley is acknowledged for its robust construction, flawless functionality and longer operational life. Our trolley is suitable for cloth roll diameter up to 1250 mm, cloth roll length up to 3000 mm & lifting capacity up to 2000 kg.